DETROIT (WXYZ) — Another one of Detroit's Most Wanted has been captured, less than two weeks after being featured on 7 Action News. U.S. Marshals say they arrested Michel Bolden in northwest Detroit on Tuesday afternoon based off of a viewer tip. A two year investigation lead to a raid last month in Ohio, revealing 57-year-old Bolden as a major player trafficking opioids into metro Detroit. "Michael Bolden is responsible for selling fentanyl," said Assistant Deputy Chief Aaron Garcia. "It's a huge epidemic, it's killing people all over." The CDC estimated 130 people on average die in the United States every day from an opioid overdose. On Feb. 27 and 28, police busted the largest opioid drug ring in Ohio's history. "Huge drug organization -- 79 targets -- a ton of coordination was put into this. Over 100 deputy marshals utilized to try to round these guys up. The operation: Operation Hadleys Hope," Garcia said. 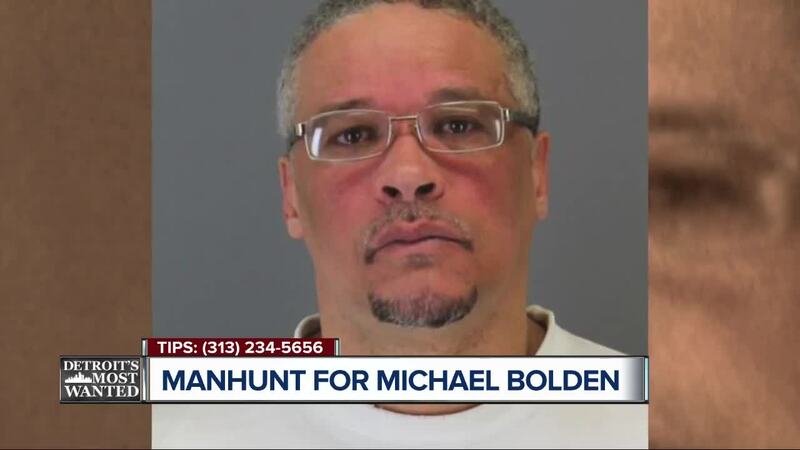 Through countless hours of investigation, Operation Hadleys Hope pinpointed Bolden -- a lifelong Detroit resident -- as a target. "These organizations have resources, this ain’t nickel or dime stuff on the city streets," said Garcia. "This is a big large organization, one of the biggest in Ohio history they had and this guy happens to be from Detroit. Chances are he’s moving these drugs back to our streets – back to our city." The U.S. Marshals say Bolden knowsknew he’s wanted and agreed to surrender, then never showed. They also say he’s no stranger to a life of crime. "Aggravated assault, burglary, weapons, fleeing and eluding, failure to appear and also escape. I would love for this guy to walk in our doors or call us up and show up on our doorstep. Chances are that won’t happen, we’re gonna need the viewer tip." Michael Bolden is 6 feet tall, 215 pounds, and officials say time is ticking to find him as this national epidemic and deadly addiction continues to grow. "He’s from Detroit, we know he’s in Detroit," Garcia said. "He has ties to Detroit, but he also has ties to Macomb, the Pontiac area – we believe this guys still here."